Jurgen Klopp admits Liverpool’s attacking strength in depth is adding to Danny Ings’ battle to secure a place back in the first team. The striker has, however, been given the complete backing of his manager having worked admirably for the club’s U23s so far this season. 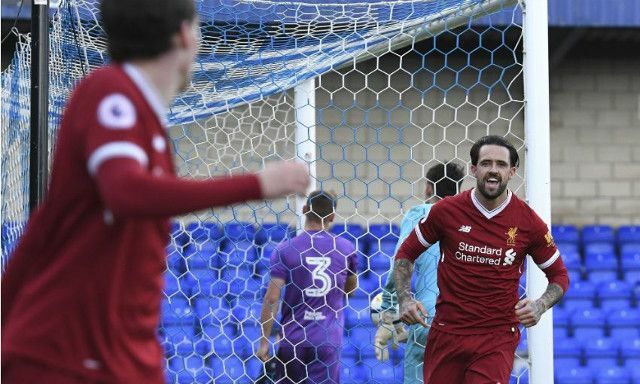 Ings has featured regularly for Neil Critchley’s side as he strives to rediscover his top form following his second season-ending knee injury in two years at Liverpool. Despite his dominant form, Ings faces a tough task gaining minutes over the likes of Roberto Firmino, Daniel Sturridge and summer acquisition Dominic Solanke. “We don’t have a problem with Danny,” Klopp told the Liverpool Echo. Ings’ injury woes have restricted him to just 12 first time appearances since his arrival on Merseyside in 2015. It’s not only for his lack of fair opportunities but also the commitment he has demonstrated behind-the-scenes that has granted him the respect of his manager and the time to impress. The 25-year-old’s most recent statement of intent saw him score four as the U23s cruised to a 7-0 Premier League Cup win over Bristol City. With Klopp at the helm, he’ll get the chance he deserves. Until then, a loan move could be on the cards in aid of Ings gaining valuable minutes at a more competitive level.